Ekkk I know 'market wrap up', I sound like the guy on the Safeway commercial who tries to convince us he's our friend by telling us all about what's fresh - unfortunately, I really could not think of another title. I've been enjoying some time away from my sewing machine after the market I did in April. I've even managed to clean up my study/sewing room - the room is basically only clean when it's not in use! I've wrangled my dad into building me some kind of collapsible lightbox, since the big cardboard box one I have takes up half the floor space in my house. Dad's using the leftover cardboard rolls that they send vinyl/oilcloth fabric on from www.fabric.com. I have quite a collection of them from all the fabric I've ordered - though shipping to Australia is almost as much as the items themselves! It's actually comparable to wait for certain major craft shops in Australia to have their 30% off sales on fabric and batting. When the lightbox gets done I'll take a few pictures and have bit of a how to. Dad's got all my stuff smuggled away in his garage so I've know idea what's going on. You all know my love of pinterest, so it will come as no surprise that I've made a board; To craft and go to market of all the beautiful market stall set ups I'd love to steal. I do have a particular shout-out though. As always I ran out of time to make this, but it's something I'm going to look into doing soon. 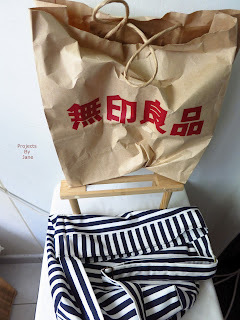 If you sell bags or clothes it's always better to display them hanging than flat on a table. Not only does the extra height draw the eye it also gives you extra table space. 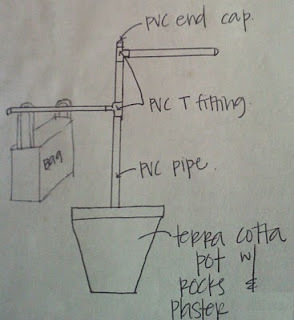 This tutorial is from Made with Love it's basically a customisable PVC pipe, pot plant stand. Given that I didn't have enough time to make one of these, I whipped out my trusty garden trellis, which you may remember I propped my DIYed photowall photobooth on. This was my market set up for The Handmade Show in April. I used some S shaped hooks and my left over Martha Stewart tissue paper pom poms (also from my 21st birthday party) to liven up the trellis. I also used a tip from Jane from Project by Jane - using a large paper bag to help prop up my dark blue over-sized Rebecca bag in the corner. She wrote up a post full of helpful tips on how to stuff bags to take better photos. I also bought a bunch of shot glasses around my 21st birthday, not for the conventional reasons though! I was hoping to glue them to plates to make cupcake stands but at the last minute I managed to find some candlestick holders on the cheap at a random op-shop. And since I didn't want everyone passed out by the end of the night we didn't have shot glass worthy drinks, so I was left with a collection of shot glasses around the house. Turns out they make excellent support stands to prop up items such as these passport wallets. I made up a quick photo frame stand for my Sandi ID Wallets with matching badge reels. I took the backing board out of the photo frame out and wrapped a rectangular piece of chevron fabric around it. I then grabbed a piece of elastic and wrapped it around the top so I had a mini washing line in the photo frame to hang items from. I also used some of my cake stands that I made for my 21st birthday party for holding the ID wallets and my business cards. I also took some classic advice and varied the height of the displays and all my items had a standing cardboard price tags next to it. You won't be able to read it clearly but the Soy Envelope Clutch price tag has the price, its features and two photos of the functional lining to highlight it's benefits. I thought it would be important to highlight these as some people are a bit to shy to touch things and play around with them, and others prefer to browse without my constant chatter. Hope these tips help you out a bit too. I'm an internet trawler and am always searching for easy simple inspirations for my market stalls. So this is my contribution! Hope it helps. Very creative ideas for your table display Mel! I'm quite intrigued by the bust wearing an eye mask! Are eye masks hot in Australia? I like how you use stuff you find in your home. Your garden trellis is a good example. Did you add fake vines on top? At craft markets, I love to check out how other craftsters display their goods. But it's a sensitive issue as most get really upset if you copy what they do. If you ask them where they buy this or that, unless you're friends, they won't tell you the truth. Thanks for stopping by and commenting! Eye mask are actually really popular in Australia. And they make good combo gifts; e.g. with a passport cover for frequent travels or for mother's day gifts etc. I use cotton, a layer of fleece to make it comfy and then black satin which is nice and smooth. I met some very nice crafters at the markets I've been too. But very very few sell bags, mostly jewellery so I guess they don't see me as 'competition'. I used pom poms to hide the broken parts of the trellis! But I should definitely decorate it a bit more for next time. Probably just need to be more organised in general. I just read your post on what to bring to market. I've forgotten the table before, and had to wait 20 minutes with all my bags holding my spot whilst everyone around me set up. Embarrassing.